A 57-year-old man has allegedly committed suicide in Shenyang, the largest city in Liaoning Province, by jumping off the 17th floor of a building, possibly in response to a recent stock market crash in China, local press reported. The building belongs to the city’s Chamber of Commerce and the 17th floor hosts a security exchange center, China.org reported citing a local newspaper. The incident took place Tuesday afternoon at around 2:00 p.m. According to a witness, a black briefcase ‘full of stock-related materials’ was found on the ground next to the body of the man who was reportedly identified as a local resident. While authorities are investigating the reason for the dive, it has been suggested that the suicide was connected to the recent stock market crash. 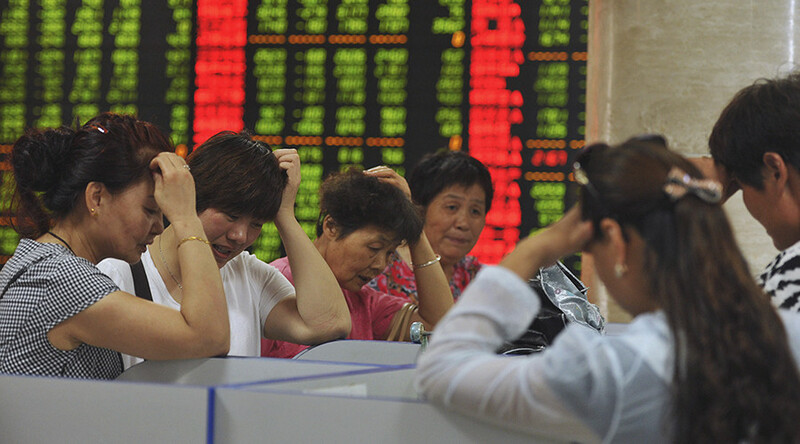 The key Shanghai Composite Index sank another 7.63 percent on Tuesday, extending its worst four-day rout since 1996. In an effort to boost exports, which fell 8.3 percent in July year-on-year, China has significantly devalued its national currency. However, the weaker yuan and government measures to prop up equities have failed to soothe investor concerns. Plummeting Chinese stocks have dragged Asian and European markets down with them. In July, a woman leaped to her death in Shanghai’s IAPM mall in a suicide also linked to plummeting stocks, according to shanghaiist.com.